In the year celebrating the centenary of Dylan Thomas, Publishing Poetry offered a perfect range of poetry performances, workshops and the opportunity of a one-to-one session with Seren Poetry Editor, Amy Wack at the recently refurbished Gwyn Hall, Neath on 1 March 2014. 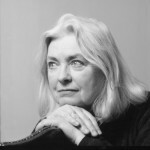 Gillian Clarke, National Poet delivered the keynote speech celebrating Wales and Welsh poets. The day also included an interesting array of workshops with: Damian Walford Davies, Paul Henry, Emily Hinshelwood, Jonathan Edwards and Rhian Edwards. Rhian Edwards was winner of Wales Book of the Year 2013, the Roland Mathias Prize for Poetry 2013, the People’s Choice 2013, as well as current winner of the John Tripp Award for Spoken Poetry, she is a rare poet who successfully bridges the gap between page and performance poetry and delivered an inspiring workshop called Making the Abstract Concrete. Produced in partnership between the South Wales Literature Initiative, Literature Wales, Neath Port Talbot libraries and Seren Books, the day appealed to all with an interest in discovering more about how to create poetry and publish their work, all on St David’s Day the celebration of Welsh culture and history.